PreSonus is pleased to announce that the StudioLive 24.4.2 digital mixer is now shipping. Like the 16-channel StudioLive 16.4.2, the 24-channel StudioLive 24.4.2 is designed for both studio recording and live sound, without compromising the requirements for either. StudioLive 24.4.2 sports the same friendly user interface, robust feature set, and extensive I/O configuration as the StudioLive 16.4.2 but with several significant additions and enhancements. 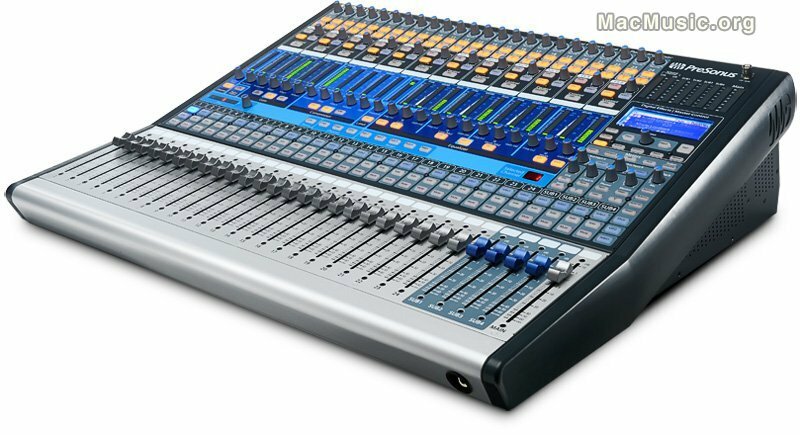 The most obvious difference is that the new mixer provides 24 input channels, rather than 16. As with the 16.4.2, each input features a trim pot, XLR mic input with XMAX mic preamp, 1/4-inch TRS balanced line inputs and unbalanced insert points. Like the 16.4.2, the StudioLive 24.4.2 offers 4 subgroup outputs, but where the 16-channel model offers 6 aux buses, the 24.4.2 provides 10 aux buses.